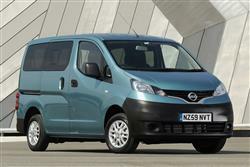 Nissan's take on the van-based MPV genre should appeal to large families on a small budget. Steve Walker reports. Consulting your kids on the sort of car they'd like you to buy can be a risky business. If they're at an age when cold, hard financial reality hasn't quite dawned, you'll get a response laden with exotic sports cars and huge chrome-spangled 4x4s. If they're a little more in tune with the kind of budget that the bank of mum and dad is likely to have at its disposal, you might get some more realistic possibilities but the list will still be couched in terms of vehicles they'd like to see waiting for them outside the school gates. The van-based MPV must rank amongst the cars least likely to appear on such child-generated want lists. Vehicles like Nissan's NV200 Combi are never going to impress a twelve-year-old's peer group and so, it's unlikely to get many recommendations from self-respecting school children but Nissan is confident that parents will appreciate its space, simple design and low prices. By employing the services of its NV200 light van, Nissan has created one of the most affordable seven-seat vehicles on the market. Pricing might look high compared to van-based rivals but factor in the diesel engine and the seven seats and the NV200 Combi appears much more reasonable. 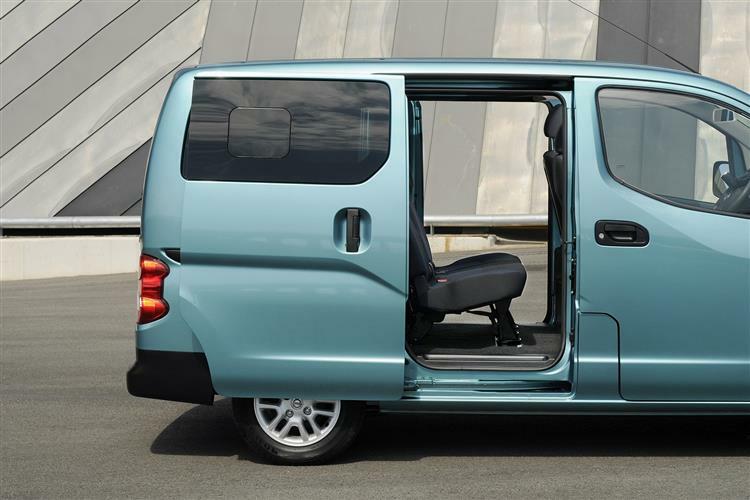 The upright seating position and tight turning circle make it well suited to town driving. The van-based MPV has been a surprise hit with UK car buyers. 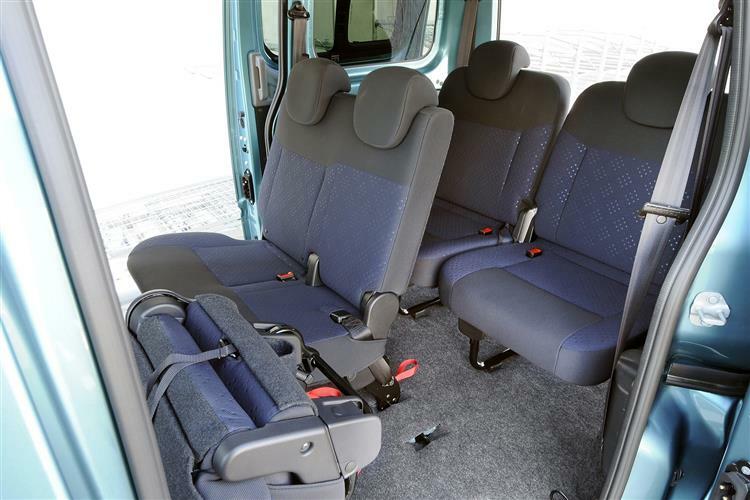 Models like the Citroen Berlingo Multispace, Fiat Doblo and Renault Kangoo pioneered the idea of fitting seats, along with a few other creature comforts, into the back of a small van to create a spacious and affordable MPV. When Nissan launched its NV200 van, there was always a good chance that a passenger carrying version would be along in fairly short order and so it proved. With a subtly different design to the majority of the players in the sector and the option of seven-seats, Nissan has high hopes for its Combi. The NV200 Combi has a single engine, a compact 1.5-litre diesel unit that's a perfect fit in this type of vehicle. The dCi unit is used heavily throughout the passenger car ranges of Nissan and its partner Renault, so we're not dealing with a rowdy commercial vehicle unit displaying all the manners of a pig in the pick 'n' mix department. The 84bhp engine has a healthy 200Nm of torque being produced at 2,000rpm, so while performance will be on the leisurely side, there should be no real issues with getting a heavily laden Combi from A to B. Nissan went slightly against the grain in designing its NV200 compact van in a bid to make it more practical and manoeuvrable for business operators. The same features should help it perform strongly in Combi form when it's let loose on busy urban streets. A driving position that's higher and more upright than in a conventional car helps when you're climbing in and out, while short overhangs make for good manoeuvrability. The wall-to-wall turning circle of just over 11 meters will help the Combi squeeze in and out of parking spaces that wouldn't even be worth attempting in most seven-seat vehicles. The same boxy dimensions that ensure that the NV200 Combi won't appear alongside the Lamborghinis on schoolboy bedroom walls help it seat up to seven schoolboys - or five of them and three cubic meters of their luggage as the situation dictates. All models feature sliding side doors on each flank to provide access to the rear bench and the seven-seat models have a further row of two seats installed in the boot area. This third row is accessed by folding the outer seat in the middle row and tumbling it forward. The decor inside the NV200 Combi is basic compared to many purpose-built MPV products but you'd expect that from a vehicle with van origins. More important is the sturdy build quality and the robust materials that Nissan has chosen for the interior. Even under heavy use, the NV200 should be up to the job. With the seven-seat models coming in at around £400 more than the five-seaters, it's reasonable to assume that most NV200 Combi buyers will go for the pair of extra seats. The entry-level S car is only offered as a five-seater, however, so buyers will need to shell out for SE trim in order to get the seven-person capacity. In general, the NV200 Combi prices are considerably higher than the likes of Citroen's Berlingo Multispace and Peugeot's Partner Tepee but it does come with a diesel engine as standard, so the difference is reduced when you compare like for like. The S model comes with a CD stereo, electric windows and a trip computer. It will be adequate for many buyers but the SE looks more appealing with alloy wheels, body-coloured bumpers, air-conditioning and Nissan's handy reversing camera. The top spec version is the SE Plus which adds ESP stability control and side airbags to the equipment list. Running the simple but sturdy NV200 Combi shouldn't prove to be too much of a financial hardship. The 1.5 dCi engine helps the vehicle to return 53mpg on the combined cycle with emissions of 139g/km. That's good going for a seven-seat vehicle and the NV200 will work out as one of the cheapest ways to move that quantity of passengers on the market. All models come with a three-year/100,000-mile warranty. The kids probably won't thank you for spending the family car budget on a Nissan NV200 Combi. As far as street credibility and kudos at the school gates go, this van-based people carrier is pretty near the bottom of the pile. The little darlings will soon get over any disappointment though and from a parent's perspective, the Combi has a lot going for it. Not least the potential to seat seven, the strong build, the common-rail diesel engine and the asking price.